Your vehicle is equipped with the Saab Oil Life System (OLS) which monitors oil wear and indicates when an oil change is required. The time and miles between necessary oil changes will vary depending on your driving habits. You should change your oil when indicated by the OLS light on your instrument panel, or every 12 months (whichever comes first). When the OLS light on your instrument panel lights up, change your oil within the next 50 miles. Our Service technicians replace your vehicle's engine oil with premium Saab Motors oil, and replace the oil filter with a Saab-approved filter. Your OLS monitor will also be reset. A regular oil change is important because dirty engine oil and a clogged oil filter will decrease your engine's efficiency, and can lead to engine damage requiring expensive repairs. Our Service Technicians know the right oil is vital for the proper operation of the Saab Oil Life System. We inspect your vehicle's throttle system for interference or binding, and for damaged or missing parts. We replace any components that have high effort or excessive wear. We inspect your vehicle's complete fuel system for damage or leaks. We check the transaxle fluid level, topping up if necessary, and inspect the hydraulic clutch. We examine your vehicle's engine air cleaner filter and replace it if necessary. - The engine air cleaner filter prevents dust from entering your engine and causing damage. A dirty filter can restrict air flow to the engine. We will inspect your wiper blades for tears or cuts and replace as required. We will also inspect your windshield for cracks or large chips. We inspect the hoses, pipes, fittings and clamps in your vehicle's cooling system, and replace them as needed. We clean the outside of the radiator and air conditioning condenser. We also perform a pressure test of the cooling system and pressure cap. Tire Inspection (including Spare) - We inspect your tires for pressure, wear and tread depth. When necessary, We rotate your tires. We also check the pressure of your spare tire and make sure that it is stored securely. - Uneven tire wear and improper tire inflation may affect your fuel economy and even your safety. Regular rotation and maintenance of your tires can prevent uneven wear, improve traction and extend tire life. Brake System Inspection - We inspect your vehicle's disc brake pads for wear and rotors for surface condition. We check that the brake lines and hoses are properly hooked up and free of binding, leaks, cracks, chafing, etc. We also inspect the calipers, parking brake, and all other parts of the brake system. We inspect your vehicle's front and rear suspension and steering system for damaged, loose or missing parts, signs of wear, or lack of lubrication. We check that the power steering lines and hoses are properly hooked up, and are free of binding, leaks, cracks, chafing, etc. We clean and then inspect the drive axle boot seals for damage, tears or leakage, and replace the seals if necessary. - The proper maintenance of your vehicle's steering and suspension helps to optimize driving control and safety. It also extends vehicle life, preserves resale value, and decreases the possibility of breakdown and expensive repairs. We inspect your vehicle's entire exhaust system and the body near the exhaust system. We look for broken, damaged, missing or out-of-position parts, as well as open seams, holes or loose connections. - A damaged or malfunctioning exhaust system could cause a heat build-up in the floor pan or leak exhaust fumes into the vehicle. We apply dielectric silicone grease to your vehicle's weatherstrips. Body and Key Lock Lubrication. Test to see that your vehicle can be started only in Park (P) or Neutral (N). We verify that the automatic transmission can be shifted out of Park (P) only while the engine is running, and that the ignition can be turned off only while vehicle is in Park (P). We also test the holding ability of the parking brake and the Park (P) mechanism on an incline. Services due at 30,000 mile. We replace your vehicle's engine air cleaner filter. Our Technicians will replace your vehicleâ€™s fuel filter. Services due at 50,000 mile. 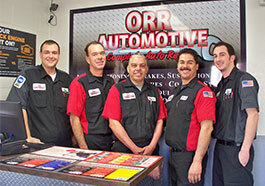 Our technicians inspect your vehicle's transmission/transaxle for leaks. We replace the transmission/transaxle fluid, gasket and filter, and adjust the linkage (if necessary). - Like engine oil, transmission/transaxle fluid and filters become contaminated with use and require regular replacement to prevent wear and damage to moving metal parts. This reduces the possibility of breakdowns and expensive repairs. We road test your vehicle both before and after service. If your vehicle is equipped with four-wheel-drive, Our Technicians will change the fluid in your vehicleâ€™s transfer case. Services due at 60,000 mile. Our Service Technicians replace your vehicle's engine air cleaner filter. Services due at 90,000 mile. Services due at 100,000 mile. Our technicians inspect your vehicleâ€™s positive crankcase ventilation (PCV) valve, and replace it if necessary. Our Service Technicians replace your vehicle's spark plugs and check your spark plug wires. - Saab vehicles are equipped with long-life platinum/iridium spark plugs that have been designed to last up to 100,000 miles. However, various fuel additives used by the Canadian petroleum industry may shorten their life span. The spark plugs should be replaced with the same type as originally equipped. Wires will be replaced as needed. Our Service Technicians examine your vehicle's spark plug wires for performance and condition. Services due at 125,000 mile. Services due at 150,000 mile. Our Service Technicians check the wear indicator on your vehicle's engine accessory drive belt and replace the belt if necessary. Our Service Technicians test your vehicle's cooling system for internal and external leaks, pressure-test the radiator cap, and inspect drive belts, coolant hoses and the air conditioning condenser. We also drain and refill the cooling system. - A properly functioning cooling system prevents engine damage due to heat and corrosion. Regular maintenance extends the life of your cooling system and engine, and reduces the possibility of breakdowns.